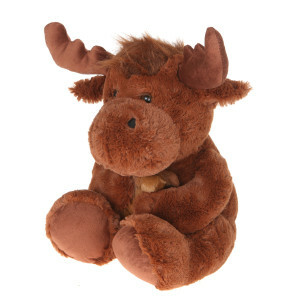 A standard woodland critter, this 14" shaggy moose holds a baby. Sitting upright with the baby in her arms, it looks very huggable. 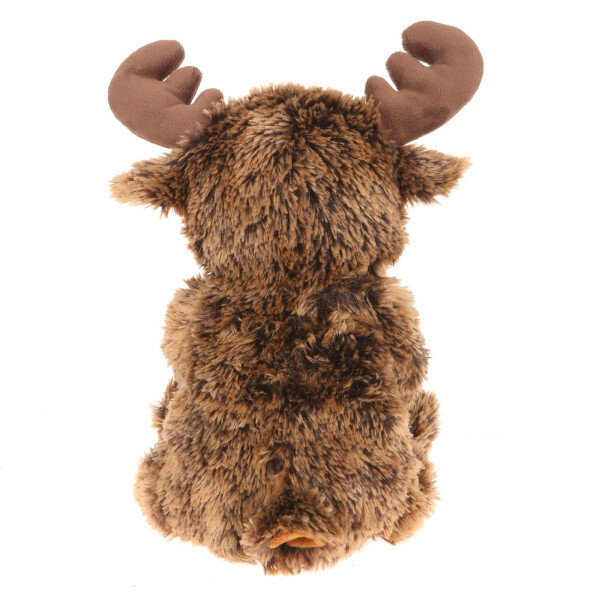 The fabric used has layering, so it resembles a grizzly bear skin and takes a departure from the standard solid color fabrics. 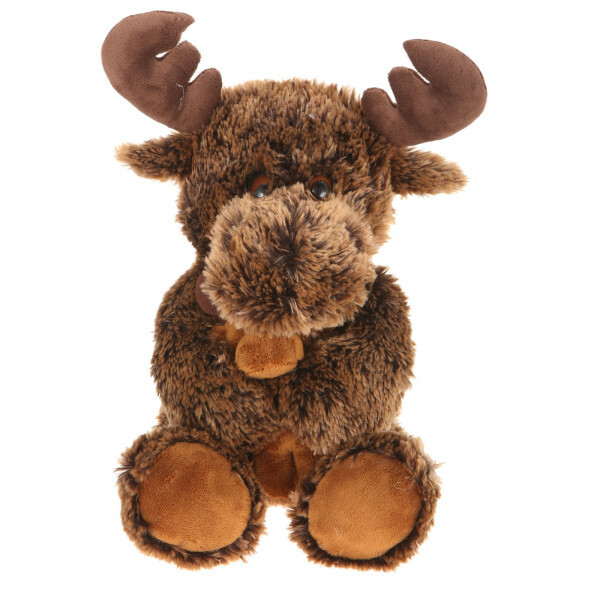 The fur is shaggier, so the moose looks more fluffy. 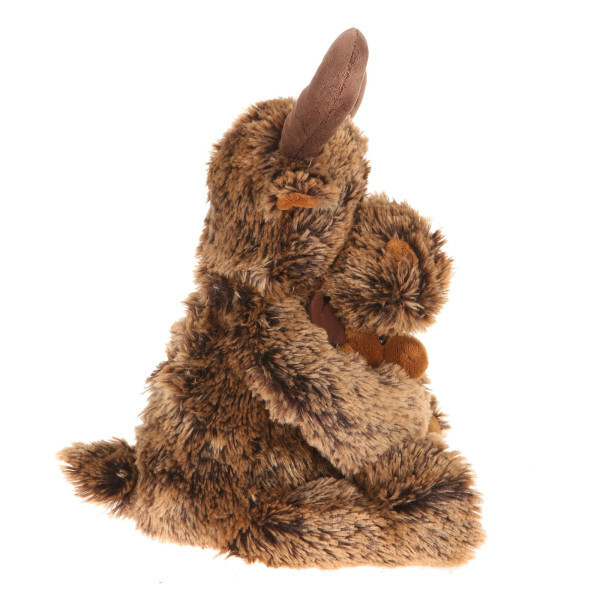 With a baby moose in its embrace, the 14" plush shaggy moose sits in a tight embrace. 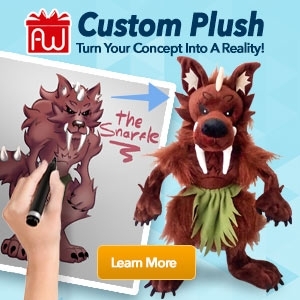 The longer and more layered fur allows it to blend into the backdrop of the woods as well as making it look a lot more huggable. 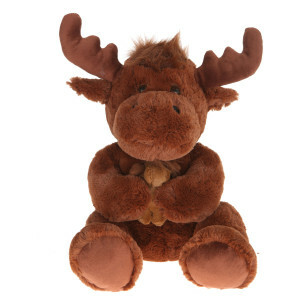 The baby moose is made from a different fabric, but both have the same general design and the same cuteness overload. 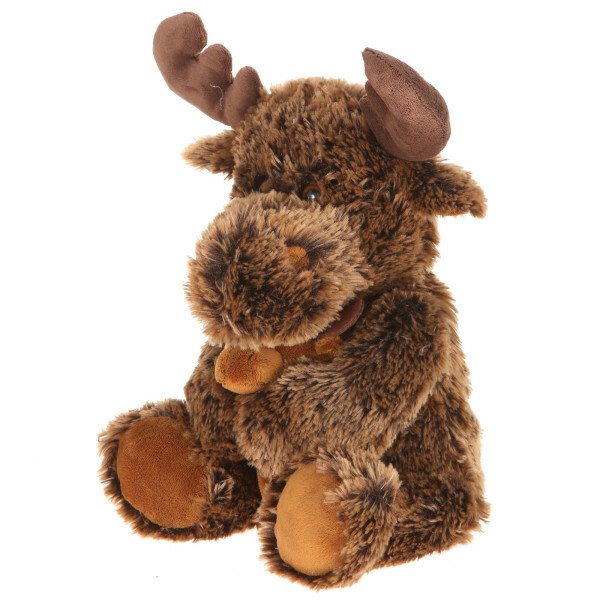 Designed by Giftable World® artists, this moose is made with high quality fabrics and materials.